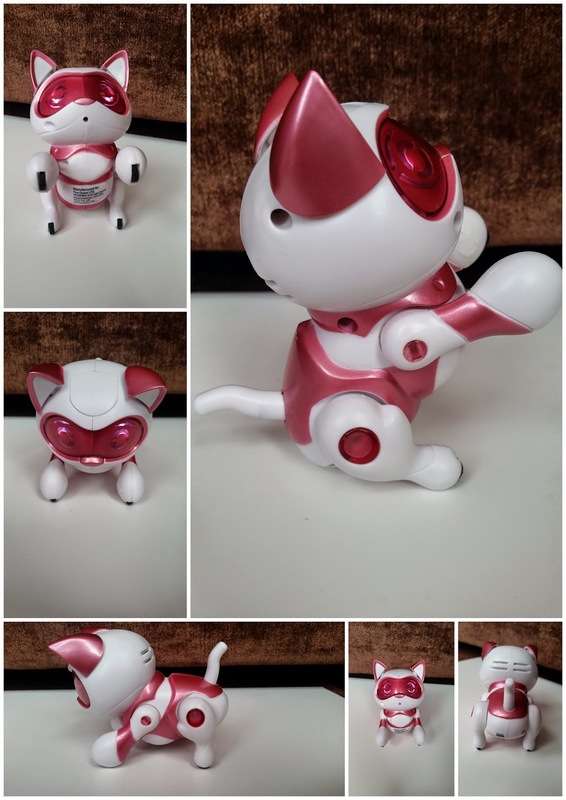 The Teksta Newborn Robotic Kitty from Character is a new younger version of their original Teksta Robotic Kitty. It's a new generation of micro robotic pets that are smaller, more interactive and animated than ever before. The newborn Teksta Kitty is a sweet and adorable life-like robotic Kitten that responds to your voice and touch. It's aimed at children aged 3 and over and costs around £19.99. The newborn kitty is much smaller than the original kitty but it does cost a lot less and is much simpler to use. It's the perfect choice for younger children who want a Teksta kitty but aren't yet ready for the older, more expensive version. It still walks, sits, begs and does so much more. 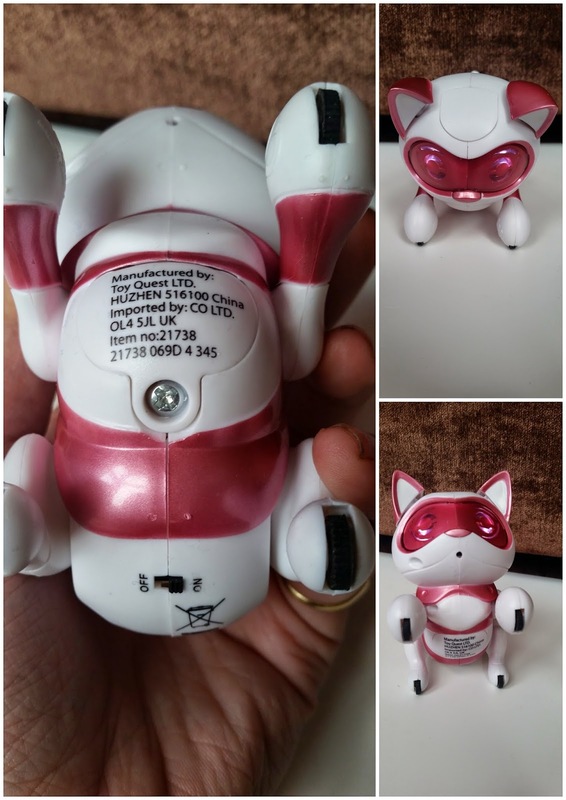 There's a simple on/off switch on it's belly which turns the toy on or off. There's also a little compartment which you can unscrew to change the batteries when needed. The kitty has four wheels, one on each foot which makes it able to move around. The legs are fully moveable and depending on which way they are, the kitty responds. If the legs are down, she will walk along. If the legs are up, she will sit up and beg. Both actions are very cute. My little ones have had a great time playing with their Teksta Newborn Robotic Kitty. It was easy to play with and fun to interact with. It may be small but it's a big hit. I did try to introduce it to our cat Garfield but I'm afraid he was having none of it. He was really freaked out by it and ran away from me. I was hoping they'd be the best of friends but it wasn't to be. Garfield May not have liked her but the kids sure did. I quite like the newborn kitty version as it's more rough and tough than the original and as it cost much less, I wasn't worried about them breaking it. Our newborn kitty has been dropped, thrown and stood on (by accident) and is still working fine I am happy to say. It's well worth the money, we think.